This is a second life for Stan the Stimulator. This time it is a laminated business card with the tracking code displayed prominently on the face of the card and a message on the back. In the first life, this travel bug was a piece of paper inside a film canister, red body, yellow top, attached to an actual TB. Stan never got launched the first time. I gave it to someone else to launch for me and that never happened. I pulled back the travel bug number and relaunched Stan in GC22N70, Moon Hut, in Cocoa Beach, FL on 22 Mar 2014. I guess there is some slim chance that the original might show up. The Stimulator is one of those patterns that does not necessarily denote a specific fly, but more an arrangement of patterns to use with differing color variations. The stimulator can be used effectively from early spring through summer as it effectively imitates a number of winged insects. 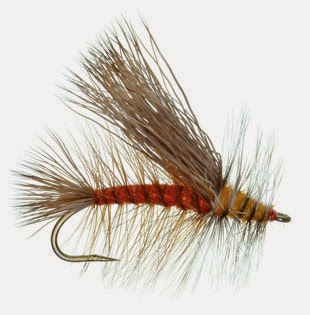 Tied in sizes 10 to 16 (tan or olive dressing) stimulators can be an excellent caddis imitation. 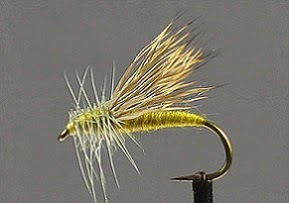 Tied in sizes 6-12 (yellow or brown dressing) stimulators are hard to beat as stonefly patterns. In addition, larger sized earth toned stimulators can be used with great success to imitate the many summer hoppers seen along your favorite rivers. 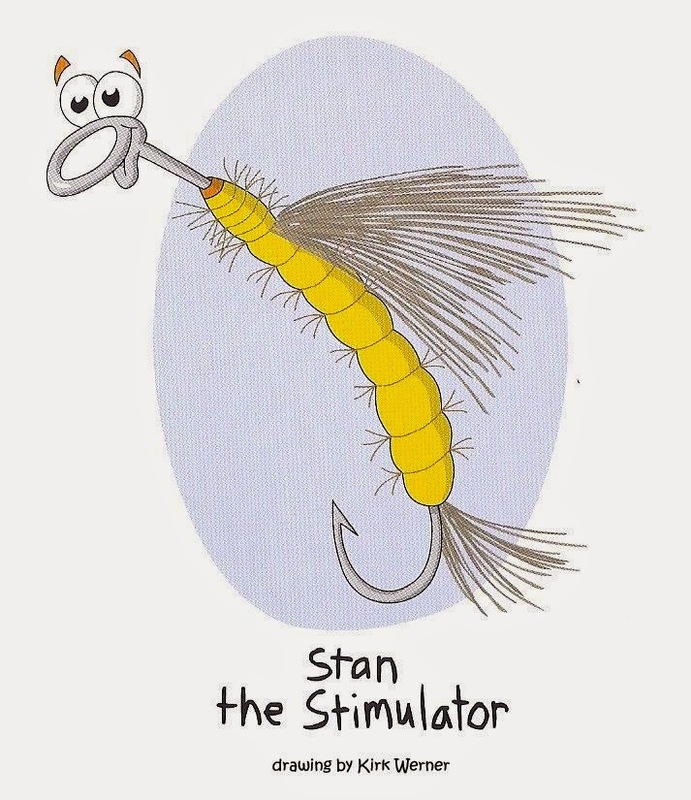 Stan is one of twelve characters created by artist Kirk Werner for three books designed to introduce children to fly fishing. This is a second life for Sally the Yellow Sally. This time it is a laminated business card with the tracking code displayed prominently on the face of the card and a message on the back. In the first life, this travel bug was a piece of paper inside a film canister, red body, blue top, attached to an actual TB. 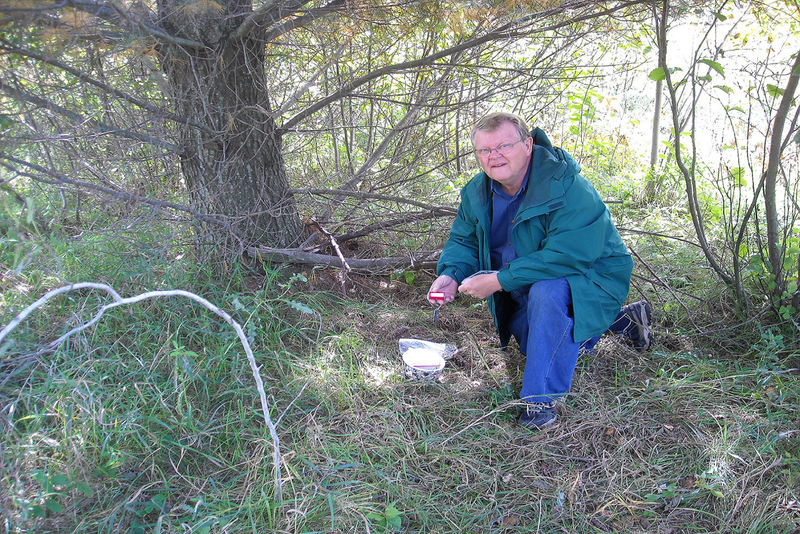 I launched Sally the first time in Baxter, MN in September 2010. It disappeared with no log entries. I pulled back the travel bug number and relaunched Sally in GC4QRCW, Titan's Passenger, in Titusville, FL on 22 Mar 2014. I guess there is some slim chance that the original might show up. The Yellow Sally is an old faithful stand by, when the water gets murky let this little sinking stinker attract those monster bluegill ( I've heard that it works well for trout, too). Fuzzy yellow bug with a bright red spot on its tail for bluegill fly fishing. 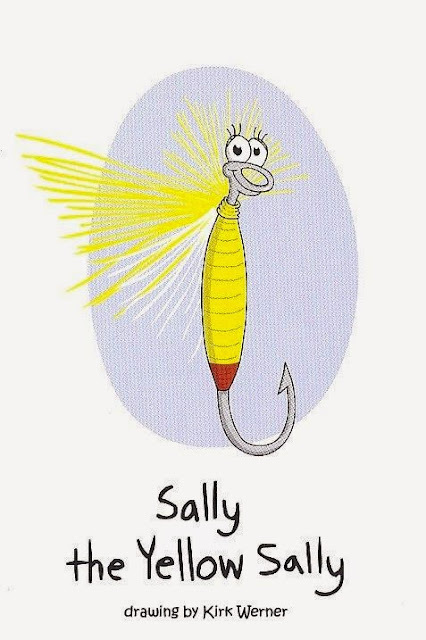 Sally is one of twelve characters created by artist Kirk Werner for three books designed to introduce children to fly fishing.